Size Height 306 mm, width 200 mm. Watermark Two watermarks. Crown, form 1. Thin crossbow. Drake's identification: Watermark type 6. Drake's description: Thin crossbow 40 X 30mm. Comments The folio is part of a larger sheet of paper combining the folios 134 and 135 . 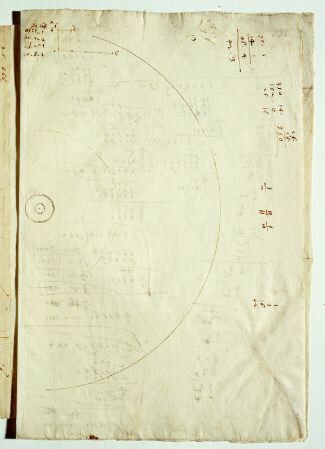 Contains drawings, calculations, table, astronomy.